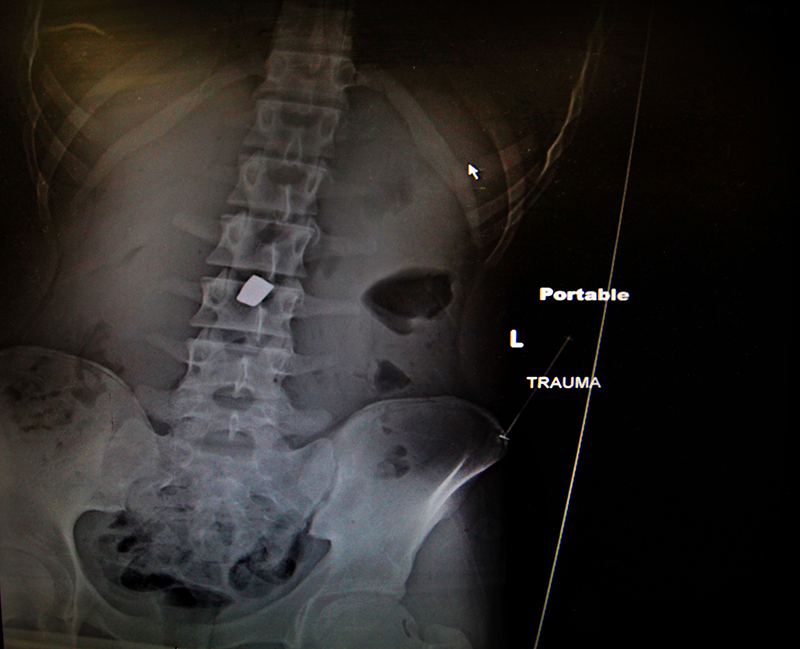 An X-ray shows a bullet in the youth's spine. The trauma team knows nothing about him. No name, no age, no family. For now they call him Zinc, a pseudonym the hospital sometime uses for its john Does. This year, four GSWs (medical shorthand for gunshot wounds) arrived on the first day of summer. One was a suicide and three were assaults. Three died and one would probably be discharged in a few days.